Metrum’s new Musette Mini DAC is dazzlingly good, writes Andy Baker, who reckons that this non-oversampling beauty sounds all the better for it. THE LAST 12 months have been busy for Netherland-based company Metrum Acoustics, with Octave II and Hex DACs all but selling out and main man Cees Rujtenberg having to hire extra staff to help cope with demands. His new Pavane was also in high demand, even before reviews were out. Now Martijn Nesenberend – who has 30 years’ experience in hi-fi – has taken over some of Cees’ duties so he could concentrate more on the research and development side of things. After five quick years, Metrum Acoustics’ entry-level Octave digital to analogue converter is being superseded, to be gradually replaced by the Musette. The Octave is a very impressive DAC which came dangerously close in performance to the more expensive Hex model, so one may reasonably assume the Musette will be an even better version of its predecessor. But what is happening to the well regarded Octave? Well, the chipset used in the Octave is becoming harder to obtain and so Cees Rujtenberg is now making his own DAC chip modules from scratch to which he has given the name Transient. These were first used in the flagship Pavane (which the eminent Mr Steel should have coming his way for review soon) and have now trickled down the DAC ladder to newer and improved designs. 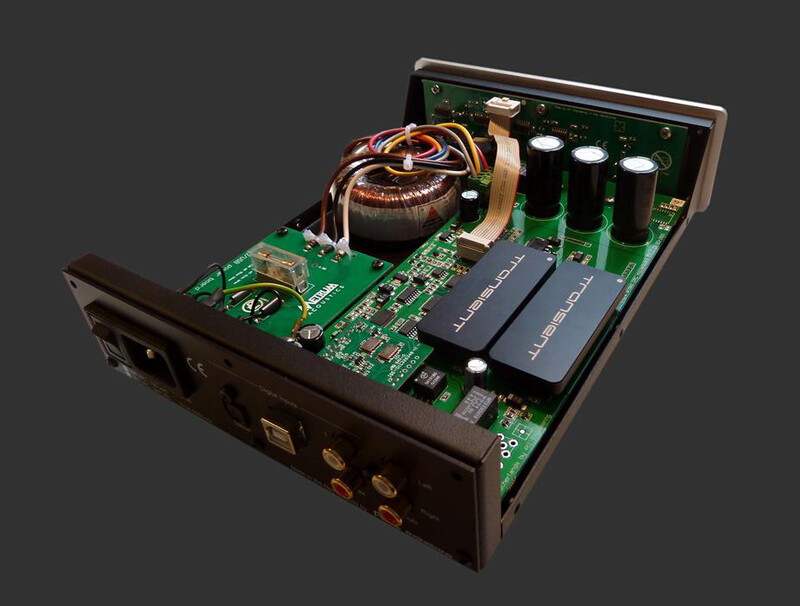 Previously, Mr Rujtenberg used an off the shelf DAC chip for all his DAC models but kept its origin a secret, to the point of scratching off the label so no one could know, but as mentioned these were becoming increasingly difficult to source in the numbers needed. The excellent Hex model will also be replaced but it, along with the Octave, will still be available until chip stocks run out. The Transient is an R/2R resistor ladder-type module of his own design and is housed in a sealed casework, thus perpetuating that sense of mystery which previously had many techno-obsessed audiophiles scratching their heads. As Metrum have always operated as an OEM, the Transient modules will be available for other manufacturers and there is even a version available for DIYers. You could say there might be a risk of someone else using one of Metrum’s Transient chip modules to create something better than any Metrum Acoustics products, but as the designer, Cees has a certain advantage, not to mention a unique way of doing things. Thanks to the proverbial trickle-down effect, the Musette uses the DAC ONE Transient modules as used in the flagship, though where the Pavane has eight modules, four per channel, the Musette uses one per channel. It is small, like the Octave – roughly half the size of my Stockholm valve DAC, also a NOS design – and looks very much the same with its black case and brushed aluminium front panel, though the newer DAC has one additional coaxial input. The USB input is one of Metrum’s own USB3 modules and this incorporates the M2Tech XMOS chip, which can handle files up to 384 kHz, which also happens to be the current industry limit. I am told this chip was chosen as it too provides for both flexibility in design and use. Ian Brown of New Zealand importers Critical Sound informs me the Musette also incorporates I2S (Integrated Interchip Sound) circuitry, the same used in an integrated CD player – and very rarely in a cable connected transport/DAC combination. This removes an internal link (as in the Octave II) in the audio chain and also enables higher sampling rates. He says that in general Mr Ruijtenberg advises the current circuit boards are able to handle much higher speeds and are therefore more accurate. I2S improvement in the internal communication department (that is, from USB) assists and ultimately benefits sound quality. The Musette deals with all the usual file types – FLAC, WAV and MP3 for example – but not DSD. There’s an optical input and for some reason the two coaxial inputs are colour coded and arranged as though they are for a typical pair of RCA interconnects, which could be a bit confusing. One thing missing is balanced connections, which may surprise some who consider the rejection of unwanted noise to be particularly vital, or those who swear XLR cables sound better, but so long as you don’t have ridiculously long interconnect cables, I doubt there will be any issues. The recently announced Menuet DAC, a step up from the Musette, will feature XLR in and outputs along with other interesting features. 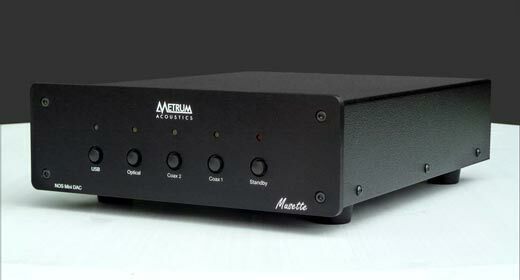 The single box Musette, like all Metrum Acoustics designs is a non-oversampling (NOS) DAC, an “old school” implementation if you will. Mr Rujtenberg believes NOS brings, among other things, the emotion and immediacy back to the experience of listening to recorded music, where oversampling can perhaps have the potential to sacrifice or at least limit such attributes as intimacy and natural instrument tones in favour of ultra-detail and clinical accuracy. Evidently NOS has its drawbacks, such as jitter and switching noise – that is, the switches which control the R/2R circuits have a habit of causing high frequency switching noise. NOS DACs notoriously don’t measure well, but good design and implementation are key, at least in terms of hearing perception and besides, Cees points to poor measuring methods as being the main culprit. Without bowing to current trends and industry pressure Cees (pronounced ‘Case’ for the non-bilingual) has forged his own way into what must be a pretty difficult market to crack for any one individual, with 25-odd years of designing and experimenting under his belt. His love of music is clearly first and foremost, but surely someone who can create his own DAC module because he isn’t happy with what’s currently available deserves more than a little recognition. As I was finishing off this review I happened to read in a rival publication an extra little snippet of information about the Transients which I thought readers here might consider to be of interest. However, when I made a brief enquiry to validate the info I was met with it doesn’t matter what’s inside. In other words, we’ve told you everything we want you to know, so just listen to the damn thing and be happy. So that is precisely what I did. I’ve reviewed a number of DACs for Witchdoctor now, all of which have been good quality and of varying prices, and most of them I have given the highest of accolades. I stand by everything I’ve written because they all do at least the basics right. That is, playing music in an enjoyable manner, taking digital files from a computer or a CD transport and making it sound as good as or better than a decent CD player with good dynamics and frequency range, while imparting their own sonic signatures, whether that be warmth, brightness, detail, three-dimensionality, etc. It is true most DACs, particularly within their respective price brackets, can sound similar but in my experience each has something to distinguish it from the others, no matter how subtle. So if you listen long enough to each you might pick up individual traits whether that be in terms of musicality, transparency, detail retrieval, bass levels or warmth; the list goes on. And every now and again, a product will surpass its price bracket to the surprise and delight of reviewers and consumers alike. 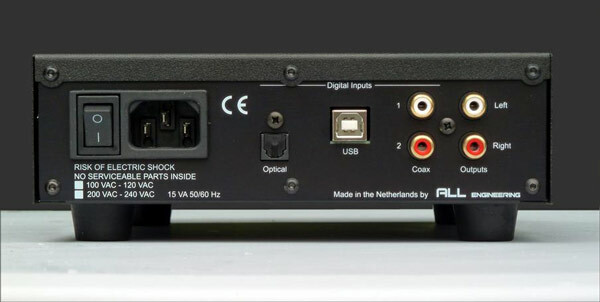 I would happily own any of the models I’ve reviewed, but given the choice between NOS or OS designs, as a vinyl lover I’m more likely to go with a non-oversampling DAC for the previously mentioned reasons. I rather like the Metrum sound, so I was certainly intrigued to hear the new Transient-furnished version. I wish I could have had a few other DACs on hand for doing direct comparisons, but my beloved MHDT Labs Stockholm remains a worthy contender. I use an MHDT Labs USBridge USB to SPDIF convertor from the Stockholms BNC output to listen to music stored on my laptop via JRiver, controlled remotely with my tablet using JRiver’s Gizmo app. For this review I used the Musette plugged directly into my laptop, listening to a range of files from MP3 to WAV and FLAC using the JRiver Media Centre and remote app. As you might expect, the Musette is eminently musical, with a satisfying analogue-like flavour. A dark and silent noise floor helped to give the impression that everything was being pulled further into the room, in turn giving an impressive depth of field. So far then, not too much different from my Stockholm, which came as no surprise. Where the Musette really stood out however, was in the way images – that is, individual musicians – had a satisfying semblance of space around them, thus creating more spatial awareness and adding more to the listening experience. Bass didn’t necessarily go deeper than any other decent DAC, but it scored high marks for definition and tone and likewise other instruments were presented with enjoyable timbre and scale. This was all very evident on the title track from the excellent Ry Cooder helmed Buena Vista Social Club album where the piano not only sounded slightly more percussive and tonally accurate than it did when heard through my Stockholm DAC but it seemed to stand out on its own in full glory in front of the speakers. Piano notes, particularly those on the lower end of the scale, were less inclined to be smothered by notes from the bass, an occurrence which can be more common than you might realise. The track sounds wonderful through my Stockholm – warm, musical and inviting – but the Musette introduced a speck more realism, especially to the piano, but also to the performance as a whole, capturing the synergy and scale in a most palpable fashion. Subtle reflections and reverberations helped to give a sense of the greater space – not that I could say what kind of room the recording took place in, more that the room became an integral part of the recording somehow. The Musette is, as I’ve said, very musical but more alive and immediate with sharper focus and snappier rhythms than your average DA converter. This is pretty impressive considering the price, though I’m not in the least bit surprised given my recent experiences with the brand. As I listened through a range of my precious music, I continued to be impressed by the little Musette. A brilliant way to demonstrate the aforementioned awareness of space the Musette helps to create is by listening to the sublime union of noisy post-rock and intricate Eastern European rhythms on An Emerald City’s Circa Scaria album, which was recorded in a cave in Whatipu – a remote cavern – on Auckland’s West Coast. The cave helps give an eerie, ethereal quality to the instruments, rich in a soft kind of reverb and there are glimpses of birds, insects and even water dripping. A lot of thought went into locating the instruments before recording took place, in order to get the levels of reverb just right. According to an interview broadcast on Radio New Zealand National in June 2013 in which the band revisited the spot where the album was recorded, the musicians were arranged in a semi-circle with the drums near the entrance facing into the cave and the darbuka drum even had its own mini cave to best capture the reverb it created. It’s worth mentioning all this to show that it’s not just about us audio-eccentrics sitting in our chairs listening critically at the end of the chain – when the whole process is full of love, from the musicians, to the engineers to the makers of high quality hi-fi equipment and through to us at the end, assembling the best setups we can afford, the end result can be truly magical. And in fact Circa Scaria is almost indescribably brilliant, so I therefore insist you go get yourself a copy forthwith, regardless of your choice of DAC. The Musette had the enviable ability to separate the musicians into easily distinguishable individuals while heightening the awareness of that great Whatipu cavern, all without detracting from the rhythm and dynamics of the music. The darkness, the majesty and the timelessness of the cave seeped into the sound. I’ll admit, if I hadn’t known where the album was recorded, I would probably not have guessed but I sure would have demanded to know where it all took place. I must confess to having been in a mostly rock kind of mood during the actual reviewing of the Musette, listening to a lot of obscure Japanese drone and psych metal but also better known stuff like Wilco, Explosions In The Sky and Dimmer. All of which was handled in a most nimble manner where punchy dynamics, thrumming kick drums, crisply shimmering cymbals, great transients and instrument tonal quality were the norm. Wilco’s ‘Spiders (Kidsmoke)’ from their album A Ghost Is Born really needs to be heard loud for full effect. This song’s metronomic Krautrock-style rhythm is interlaced with electric guitar noodling while the verses are bridged by mosh-pit style rock outs and fuzzy guitar strangling – just the thing a man and his neighbours need at 3am. The essence of the recording was nicely replicated, the band seemingly free from the constraints of the speakers or compression and I enjoyed the sheer rightness of the sound along with the depth of perspective and, of course, the energy. I did get to spend a good bit of time with Ricky Lee Jones and Mavis Staples. ‘Sow Good Seeds’ from the latter artist sounded particularly clear and animated, where Staples and her backing singers had good levels of presence, complementing each other perfectly, each voice distinct from the rest while remaining in harmony and the bass-line packed a decent wallop too. The Musette reproduced Jones’ Traffic From Paradise album (possibly my favourite of all her fine records) with a graceful ease and good degree of resolution. Not only did the instruments have good timbre and space, the DAC brought out the breathy, nasal quality of Jones’ voice, not necessarily over-emphasising it rather creating more awareness somehow, which helped add an extra lifelike element to the whole affair. With Traffic… and most everything I listened to, there was a distinct lack of digital artefact or brightness and where the treble was crisp and quite explicit as digital can be, bass tended to have a lovely tuneful quality with a slightly warm glow. All in all a good balance was maintained. I hate writing in clichés and I try to avoid doing it as much as I try to avoid people who drive SUVs, but sometimes it is inescapable. Besides, as I read somewhere recently, there are only so many ways you can tell the truth. Holographic, engaging, excellent imaging and soundstage. The music presented by the sub-2k Musette is totally immersive in every sense and the way instruments are so precisely placed with airiness and splendid depth of field makes it impossible to listen without smirking like a billionaire. You might think everything that can be done when it comes to digital to analogue conversion has surely been done already, but apparently this is not so. Whether NOS DACs are supposed to sound good or not, the evidence is pretty clear: they do. And the Musette expands on that a little further to bring even more enjoyment to the medium, giving a little more insight to recordings without sacrificing musicality and without sounding wholly digital. It has a lovely way of illuminating everything and bringing performers out of the shadows, as it were. I’m not going to say NOS is better than over-sampling because it is down to personal choice as always. I’ve heard some pretty darn good over-sampling DACs to be sure, but I advise you to give the Musette – or any of Metrum’s products – a try. I didn’t have a Hex on hand to say whether the Musette comes dangerously close in performance, but I’d be most surprised if it does not. (As a brief footnote, while I was finishing off this review, news came through that David Bowie had died. Naturally I had several enjoyable and incredibly sad Bowie-listening sessions shortly thereafter and though most of my albums are on vinyl, my digital copy of Ziggy Stardust And The Spiders From Mars sounded brilliant played through the Musette. Vivid and alive, like it was recorded more recently than 40-odd years ago, it came across absolutely brimming with youthful swagger and lascivious innuendo (rock ‘n’ roll, man! ), liberally laced with flagrantly seductive rhythms. The Musette did a top job of bringing the recording into the 21st century. great review…but how Musette stand vs Hex or Lm 502 dac? Thanks for your Review time and findings. Cees found it good to understand – sometimes difficult where English is a second language to many readers. He would like to add his appreciation to the Witchdoctor team. If I may (in response to above query), Hex is a better Dac than Musette IMO (but I’m biased of course) and also offers additional connectivity – which all users here in NZ (at least) have found beneficial as an upgrade path etc. The two Transient modules do outperform the 8 Industrial chips used in Octave design but Hex employs 16 chips, which provides more processing power + dedicated power supplies to each channel and USB etc. I have obviously spent quite some time comparing all the Dacs. Listened to Circa Scaria the other night – could only find MP3 with a quick search. But alas the cavern must have been ‘fumigated’ and only a few faint ‘tweets’ audible. Best hi-fi thing I ever did was buy a NOS/no filtering at all dac.